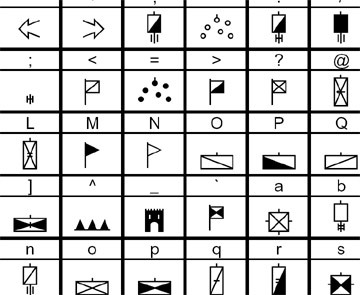 Napoleonic Symbols Font Includes: 2 font files, text file on how to use the font files, and a license agreement. Bruce Henderson 5 10 7 Excellent until I tried to use them on Mac OS X 10.5 (Leopard). Worked fine on 10.4 but don't show up properly on 10.5 :-( Strangely, the Free version from Tom's site is okay on 10.5. Any thoughts?